The Graphical Execution Plan feature within SQL Server Management Studio (SSMS) is now supported for SQL Data Warehouse (SQL DW)! With a click of a button, you can create a graphical representation of a distributed query plan for SQL DW. Before this enhancement, query troubleshooting for SQL DW was often a tedious process, which required you to run the EXPLAIN command. SQL DW customers can now seamlessly and visually debug query plans to identify performance bottlenecks directly within the SSMS window. This experience extends the query troubleshooting experience by displaying costly data movement operations which are the most common reasons for slow distributed query plans. 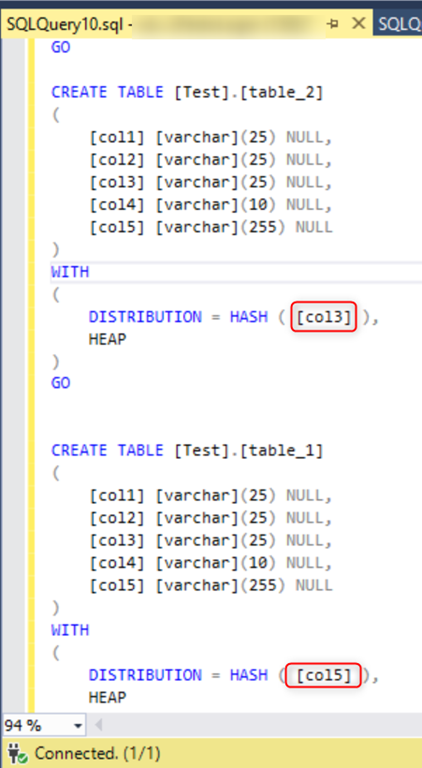 Below is a simple example of troubleshooting a distributed query plan with SQL DW leveraging the Graphical Execution Plan. 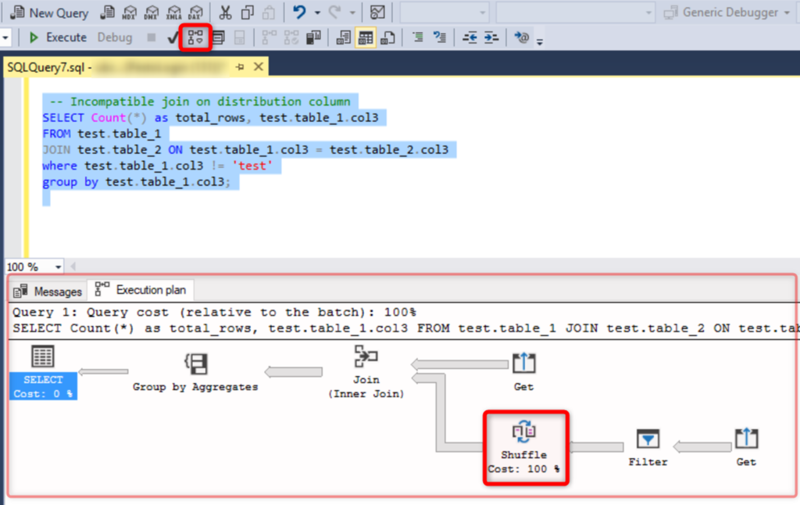 By leveraging the estimated Graphical Execution Plan, we have identified that we can improve the performance of this query by redistributing the table on the appropriate column to remove the ShuffleMove operation.